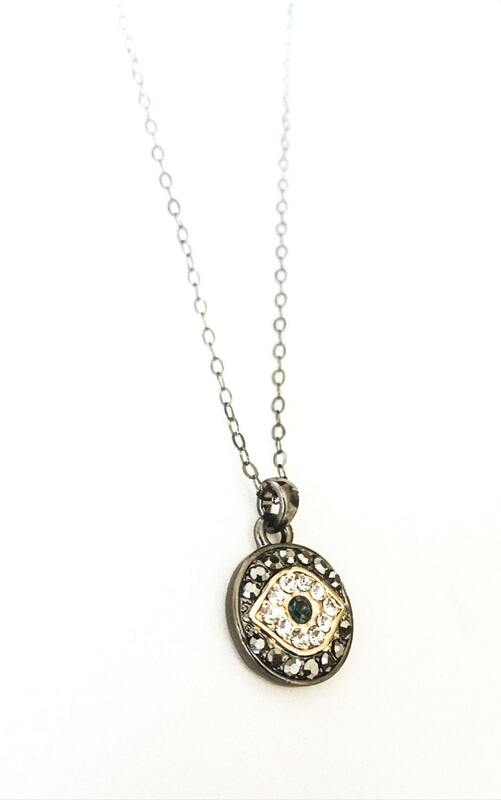 This pretty pave crystal evil eye dangles from a delicate oxidized sterling silver chain finished with an oxidized sterling silver lobster claw clasp. You will love it layered and it's sweet on it's own. Either way it's a beautiful piece and makes a wonderful gift. 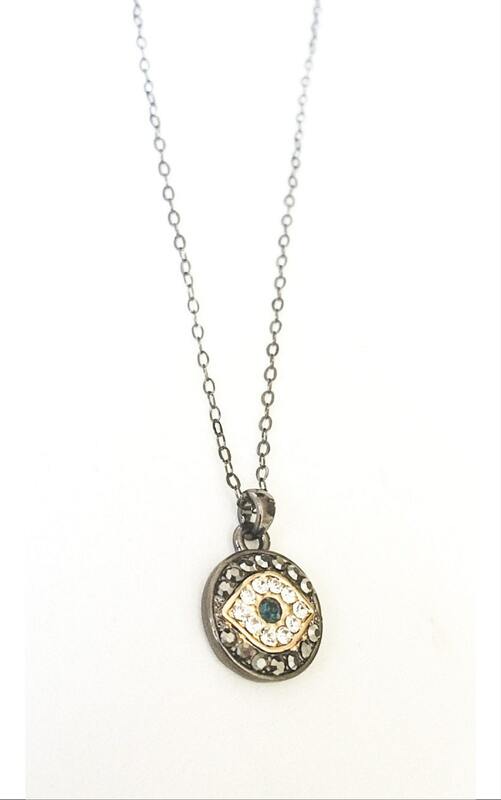 The necklace is available in 16" or 18". Please select your desired length from the drop down menu above at check out. 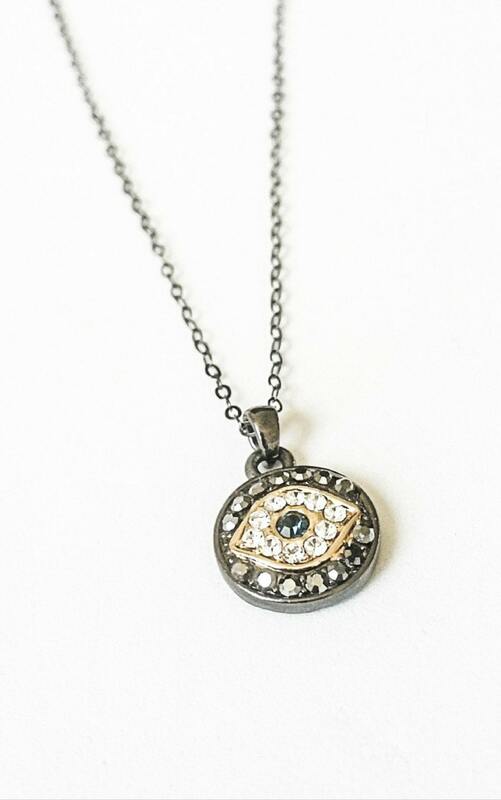 The evil eye is approx 1/2" in diameter. Great piece ! looks lovely! Love this necklace ! Shipped so fast. Thank-you so much !